Laksh and Ranveer are shown standing at the reception fulfilling formalities. Swara and Ishani come out of the gynae’s chamber. Swara – are u worried ? Swara – look ishani, wedding is an after concern. But even if u want to get married, u shouldn’t hurry about this baby. U can have them later. Further, u need to adjust there, learn tactics and groom urself to be a rajput bride. It will take time. Ranveer is yet to join office and family planning now is crap. Swara assures her – ur gonna be perfect ! Suddenly, Maya bumps into them. Maya – swara ! ishani ! how come ur here ? u both are fine ? Swara covers up – yes bhabhi , we are fine. Swara – actually bhabhi , I needed to do some ceatinine and haemoglobin tests so I brought her with me, actually sanskar is busy today. Maya – aw..how dare he. I will pull his ears when I see him. How dare he leave my nanad like that ? Maya – visit soon. Inaya misses you . Swara smiles – very soon. Maya pats her cheeks and leaves. Ragini is shown doing makeup of an NRI bride . Ragini – aliya..this is how its to be done. See . Parlor assistant – ma’am . u r getting a call. Ragini – oh..laksh is it ? Parlor assistant – no ma’am its some sanky. Ragini – sanky ? uh okay. U ifnish her makeup . Ragini picks up the call. Rags come to arya’s hospital immediately. Areh but kya huwa ? I agree. Oh no. what if its too late. Swara takes Ishani to the abortion room. Ranveer is shown sitting with his palms on his face. Laksh sits beside him. Just pray to god. And swara is with her. She will take care. Suddenly, laksh gets ragini’s call. Kya ho gaya Ragini ? Where are u laksh ? Tell me laksh . where are u ?? Stop lying. U r in Maya di’s hospital with Swara . right ? sanky called me and told me. how dare u laksh ? and ur lying to me ? Do whatever u want. This wedding is not happening. Ragini grumbles in her car. Ishani is shown lying on bed. Her doctor is shown preparing the syringe. The doctor is about to inject her. Suddenly, Ragini barges inside and pushes the doctor. Doc – what the hell ! Ragini gets ishani up – ishani. Are u okay ? 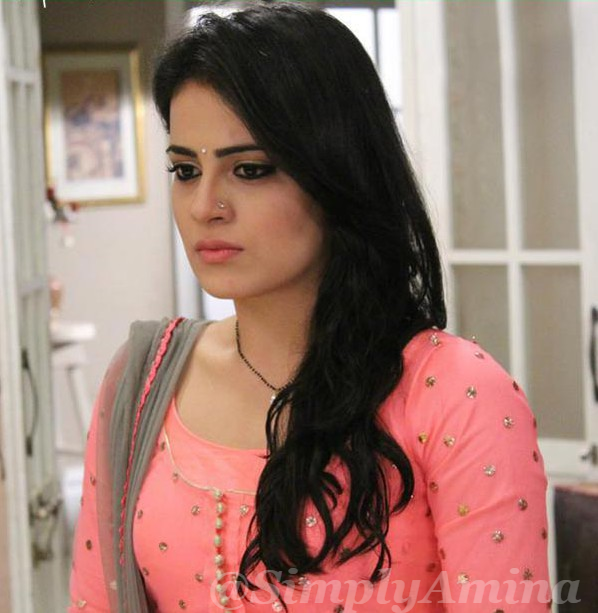 Ishani – ragu di..what happened ? u …here..
Laksh Ranveer barge inside . Ragini – dare u step forward laksh . ranveer. Are u a coard or what ? u f**ked her right ? now have the guts to cherish ur baby . Ranveer looks on. Laksh rolls his eyes. Sanskar grabs swara’s hand . I cant blv u did this. Its for their own good sanskar. They cant handle a baby. Our fmaily wont accept them. Compatibility . Sanskar rolls his eyes and leaves . Suhana – but u knew her backgorund and u let them come close. Ranveer is so close to u . u could have influenced him ! 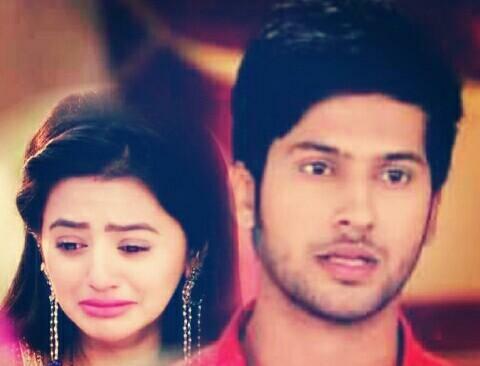 Laksh – we are sorry mumaa. Suhana – I cant blv this. Laksh . u could have contorlled him but no. let him meet girls, go to pubs, bars etec and spoil him. Now I have done his parvarish. Blame will come on me naa. Suhana – Im ashamed of u laksh . and swara mind it. I any mark omes to our fmaily’s honor, I will forget that u are my bahu . Suhana leaves fuming. Swalak look at each other. Swara is shown sitting on bed looking at her nails. 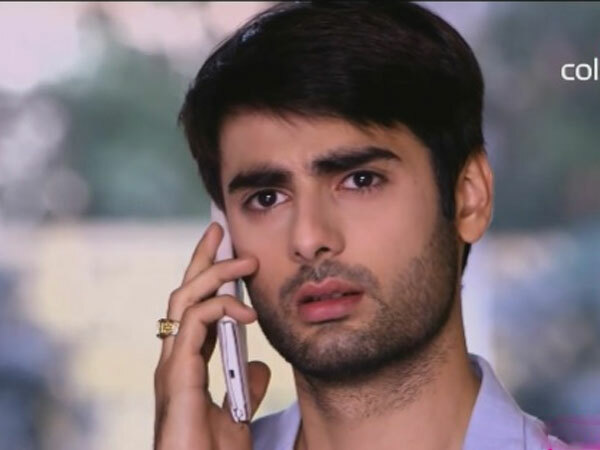 Sanskar comes out of his washroom wiping his hair and face. Hey…kya baat hai..my doll is looking so s*xy today…actaully u always look sizzling. He sits beside her and touches her cheeks . Don’t u dare touch me sanskar ! Sanskar plz. Because of u and what u and rags are upto, today I lowered in her eyes. Because of u guys. And I hate u for this ! 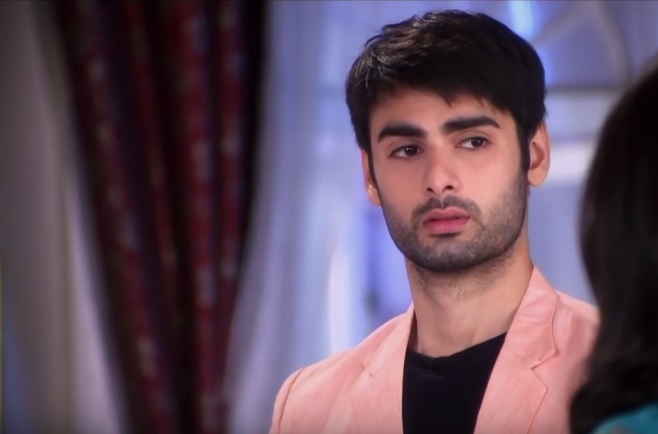 Sanskar stands up – swara ! plz. Stop shouting . lower ur voice. Oh is it ? I wont. What will u do ? I hate u for doing this to me ! I hate u just go to hell . Swara pushes him off and lies down to bed to sleep. Sanskar sits on his side with palms on his face. Ragini is shown lying on bed . Laksh is working on his laptop. Why ? there Is one shop na. that’s 24 hours open. But laksh. Plz take me na..im hungry here and all ur worried is about work. Fine then. I wont eat anything ! Ragini gets tears in her eyes. Ragini lies to sleep. Laksh closes his eyes. Sanskar is getting ready for his office. He brushes his hair in front of the mirror. Swara comes from behind . Sankar is about to leave. She touches his shoulder. Swara – naraz ho mujhse ? Sanskar – tumhe kya farak parta hai ? Swara – what r u saying sanskar ? mujhe nahi farak padega toh kise padega ? Im sorry sanskar. Its just that. Mom was colding me like never before and I got meotional. I shouted on u . I misbhevaed. Im sorry sanskar. Im so sorry . in them orning also when u were not talking to me I was ignoring u . I tried. Bu I cant. 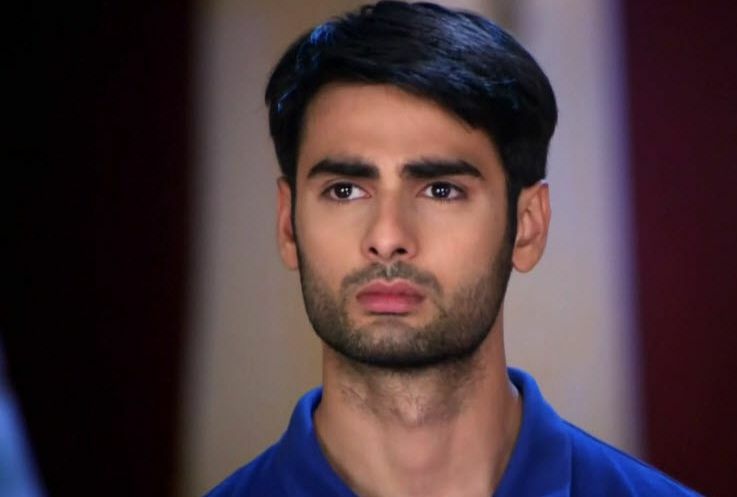 I cant stay a while without u sanskar. Plz forgive me . im sorry baby. Im very sorry . Chup ho jao swara. Ab yeh aansu mere dil pe gir rahe hai ! Sanskar hugs her. Swara cries on. He pacifies her. Meri jaan ho tum. Tumhe kuch ho jata hai toh pagal ho jata hu main. Tumhare ankhon me ansu tak nahi dekh sakta. I ownt repeat it. Im sorry . He caresses her face . she hugs him tightly. Ragini gets ready and comes out of her bedroom to find Laksh sitting with a parcel near him. Tumhe office nahi jana ? Umm jana hai.but first come here. He holds her hand and makes her sit beside him. Ragini looks at him with curiosity. Laksh smiles and opens the parcel. Ragini smiles . Im sorry my sweet dumpling. I was very upset yuesterday. Mumma had said very harsh things to me. and I ended up shouting on u. I cant see u hungry, or sad. I swear. Laksh smiles and kisses her forehead. Dadi – this wedding wont take place. Ranveer – i will shoulder my responsibitlity Dadi. if needed, i will leave this house ! Sanskar is shown pressing swara’s legs. swara – sanskar what are u doing ? sanskar – if i can cuddle and kiss ur legs, why cant i press them when ur in pain ? nani looks on – now this girl will make my boy press her legs . Ragini – laksh its enough now. i want a bay . dont u get it ? Laksh jerks her- i told u na.!! i dont want a f**king baby !!! twinkle – and what if..ranveer abandons you ? a 24 year old guy comes down from a plane . he is shown in leather , jeans and goggles. he removes his goggles. His very hazel eyes are shown !